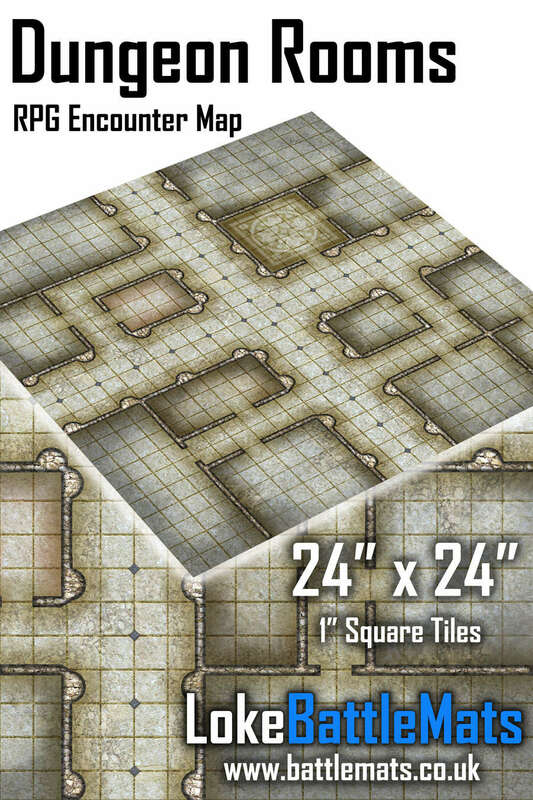 24" x 24" image of dungeon rooms and corridors with 1" square tiles. Warning: for personal use only, commercial usage or printing for re-sale is not allowed. This title was added to our catalog on October 25, 2018.